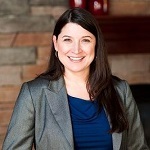 Q: Elizabeth, can you tell us something more about your digital home management platform? A: HomeZada is a digital home management platform that empowers homeowners in managing all the details about their home so that they can maintain the value of their homes, save time and money, and reduce stress. HomeZada is also a customer engagement and loyalty marketing solution for companies that service homeowners in the insurance, mortgage, real estate and home building markets that helps them increase revenue with renewal, repeat, and referral opportunities with customers. A: HomeZada is an all in one suite of apps to manage the entire home. Homeowners can track a home inventory for insurance and estate planning purposes as well as track a home maintenance calendar with reminders when maintenance needs to be conducted to keep a home healthy, safe and valuable. Homeowners can also manage all their remodel projects with HomeZada’s project templates which helps homeowners stay in budget, track costs, and store all the photos and documents. Homes are most people’s largest asset and biggest expense, so staying on top of all the financial details can be managed using HomeZada. And finally, when a homeowner is ready to sell their home, they can use data in HomeZada to market their home. Insurance, mortgage, and real estate companies can provide a premium branded version of HomeZada to their homeowner customers. This gives them a value-added solution for their clients to manage their home while improving their brand and securing renewal and referral business with lower acquisition costs from existing customers. Q: You’ve recently launched home inventory video recognition AI; could you tell us something more? A: Having a home inventory is important especially during these last several years with major disasters creating home damage throughout the country. Seventy percent of homeowners do not have a home inventory. Many homeowners will tell you that the reason for this is that it is time consuming and overwhelming to take a home inventory. HomeZada has methods that speed up the process to take a home inventory. However, with the recent addition of using video and object recognition AI, taking a home inventory is easier than ever before. Leveraging video and recognition AI makes the process easy which ensures that homeowners can quickly take a home inventory and be prepared for any situation that could arise. Knowing what you accurately own is important when processing a claim with your insurance company. A: With HomeZada, homeowners can immediately see benefits by being aware of what is actually happening in their home. Being proactive in taking care of a home can extend the life of your appliances and equipment, increase the value of a home, maintain a safe and healthy home, and protect the contents of your home. 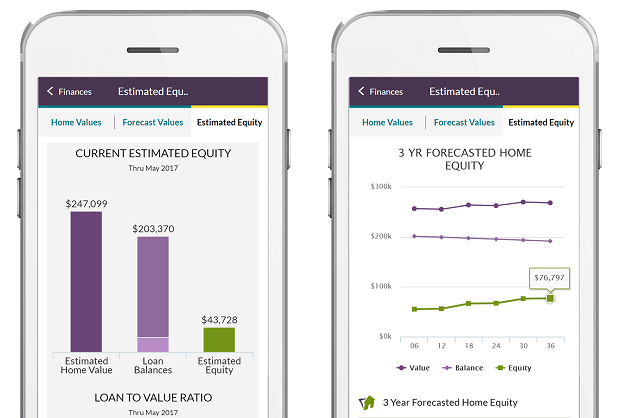 Additionally, using HomeZada gives homeowners accurate financial data about their home like estimated home values, annual home expenses, project costs, home content values and insurance coverages, and home equity values. Each of these financial components are important to understand for overall financial awareness. Managing all this data in one central location also adds a level of efficiency that saves time and money to find the data about a home. Many homeowners have documents or home information in multiple locations in their home and often cannot find the exact detail when they need it. With HomeZada, they can quickly find all the data in one centralized and highly secure platform. Q: Why people love HomeZada Professional? A: HomeZada Professional enhances the relationship that our partners have with their customers. Many of our partner interactions regarding homeowners are transactional such as selling a mortgage or an insurance policy. 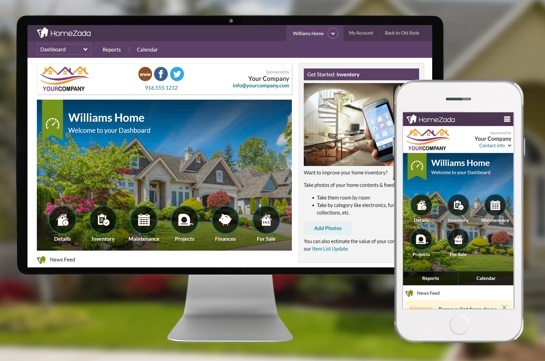 HomeZada Professional is the solution to stay connected digitally with clients while offering valuable information to assist the homeowner in managing their largest asset. HomeZada Professional offers partner branding inside HomeZada which continues to keep the partner in front of their customers in an ongoing educational and personalized manner. With HomeZada, customers feel that their providers are providing value beyond the initial transaction and making that value specific to the HomeZada user. A: HomeZada is excited to grow our organization through more partnerships with insurance, mortgage, real estate, and home media companies that are interested in staying connected and providing more value to their customers. We are also planning to grow by securing additional equity investors to fund our customer and partner acquisition as well as continuing to invest in the platform. As HomeZada continues to grow, our platform will also continue to grow to provide unique data that empowers homeowners to manage their home as well as aggregate homeowners’ insights to our partners.